Made with egg white, icing sugar, almond powder, food colouring and buttercream, these sweet treats became a prominent part of French culture in 1792. 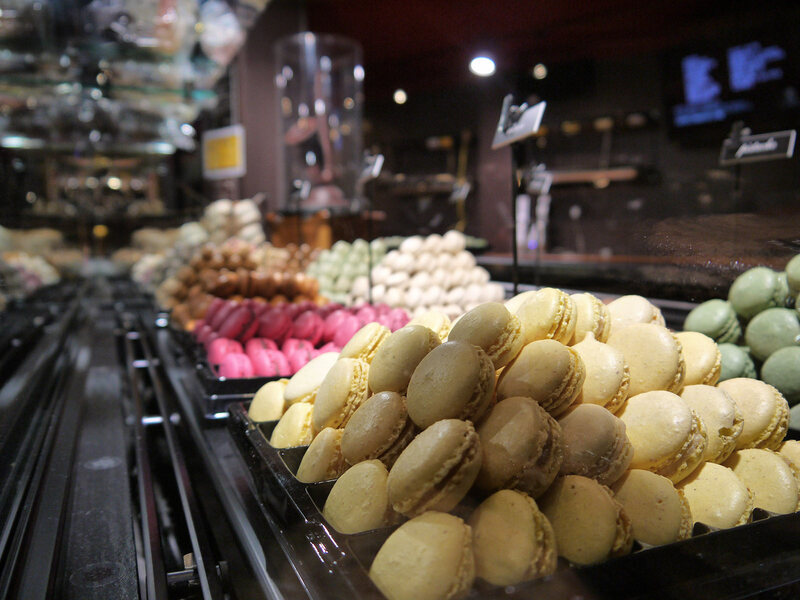 In addition to the world famous Ladurée patisserie, Maison Georges Larnicol is a popular confectioner in Montmartre (by the carousel) with 2 other locations in Paris, and they are also famed for their variety of macarons. Fun Fact: In the 18th century during the French Revolution, two nuns baked and sold macarons to pay for their housing. They soon became well-known as the "Macaron Sisters"
Copyright © Go To Travel Guides Made with egg white, icing sugar, almond powder, food colouring and buttercream, these sweet treats became a prominent part of French culture in 1792. In addition to the world famous Ladurée patisserie, Maison Georges Larnicol is a popular confectioner in Montmartre (by the carousel) with 2 other locations in Paris, and they are also famed for their variety of macarons. Fun Fact: In the 18th century during the French Revolution, two nuns baked and sold macarons to pay for their housing. They soon became well-known as the "Macaron Sisters"